“Most folks are about as happy as they make up their minds to be.” -Abraham Lincoln. Apparently, the second week of November is National Pursuit of Happiness Week. I found several articles about it online, none of which provided any explanation for how or why the week was designated. But as far as I’m concerned, no explanation is needed. Some people believe that you can never be too rich or too thin. I believe that you can never be too happy. There is always room for MORE! 1) Go outside. Aristotle is credited as saying “In all things of nature, there is something of the marvelous”. No matter what the weather is like outside, there is always something beautiful and amazing if you take the time to look close enough. If you need a happiness boost, take a closer look at nature. 2) Take time to smell the flowers. If you don’t have anything blooming in your own yard, spend a few dollars and buy yourself a bouquet to put on your desk today. 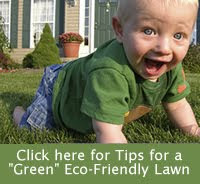 It will help you to visualize the beautiful eco-friendly garden you plan to work on next Spring. 3) When it comes to conversation, DIG DEEP. Did you know that deep conversation can bring happiness? I’m not talking about the short quips and tweets people exchange on twitter and Facebook these days. I’m talking about deep, heart to heart talks. So open up and share! 4) If you aren’t already a “green” gardener, pick up the trowel and dig in. Science seems to point to the fact that being eco-friendly and taking care of the planet helps make people happier. 5) Try some Bare Naked Gardening. No explanation needed. 7) And remember, Happiness is contagious. New research shows that in a social network, happiness spreads among people up to three degrees removed from one another. That means when you feel happy, a friend of a friend of a friend has a slightly higher likelihood of feeling happy too. So what makes you happy? Do you have any quick happiness tips to share with our readers?